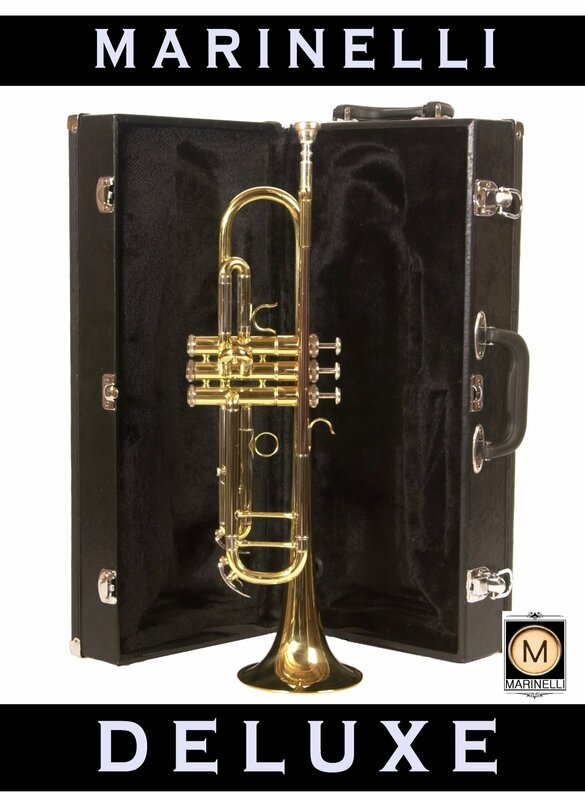 Marinelli 6418ML Bb Deluxe Student Trumpet Description: Deluxe Trumpet Specs: Two-Tone, Heavy Duty Body, Monel Valves, Double Braced, Double Slides, Key of Bb, 0.495 Bore. Lacquered 2-Tone Finish. Accessories: Deluxe Wood Trumpet Case, Mouthpiece and Trumpet Maintenance Kit (Valve Oil, Cleaning Cloth, Snake and Mouthpiece Brush.) 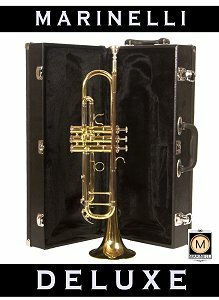 Our Marinelli Deluxe Student Trumpet Rental package is a great choice for any trumpet student. This is a great high school trumpet. The Marinelli Deluxe Trumpet operates smoothly with genuine monel trumpet valves and provides a very good tone. The double trumpet braces provide added strength. Insurance and repair coverage is included. Select from 3, 6 or 9 month rental options. Rental goes to monthly billing at the end of the up front rental period you select and you may return at anytime. We can ship your Trumpet Rental anywhere in the USA! Order Online Now. Click Here to Play a Trumpet Sound Sample.